A logo design is usually the representative of a product or a company, such a rep can be very costly when you hire a graphics designer to get it done. For students and new ventures, it’s not something affordable, or as least, it’s not wise to spend that much to just get a new logo design. 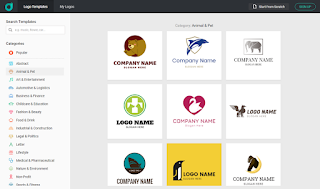 Therefore, we bring you a free logo maker that’s online and easy. DesignEvo is a good choice to convert your idea to a logo design shortly, which requires nothing related to design experience. How to Convert An Idea to A Logo Design with DesignEvo? Open DesignEvo logo maker with a browser, press [Make a Free Logo] or [Make a Logo]. Next, it will display its logo template options in a new Windows, where you will be able to search related logo models by inputting a keyword of an idea. 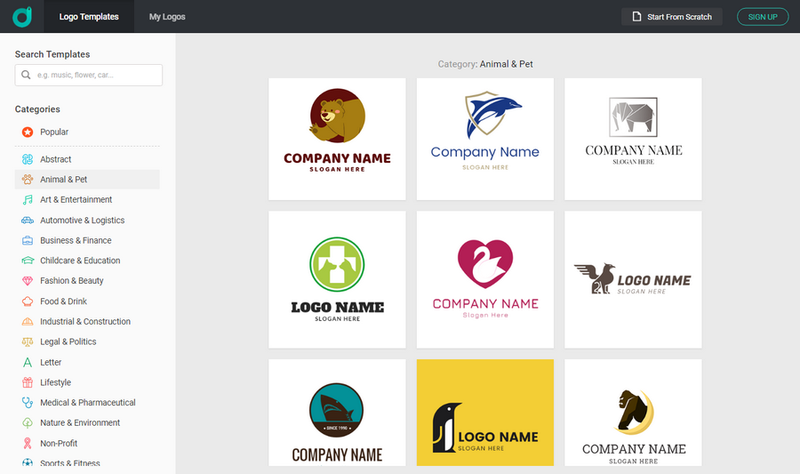 It’s said that the logo pool has over 7000 logo mockups in total. Likewise, you can glance at those popular logos, Abstract logos, or other logos listed here. After picking up a logo design, you will be taken to the design canvas. Double click the company name, you can input your logo text. It suggests us adding a slogan for logo design. If you haven’t come up with the best ones yet, you may try those best slogan makers for ideas or just delete the slogan part from your logo design. You can click anything on the canvas, and DesignEvo will show you its available options for customization on top functional bar. Usually, you will have the color palette, flip option, effect choice as the basics. For texts, you see more options, such as, font family, font size, bold, italic, Cap control and text format. Exclusively, in the format option, it gives you the ability to make stunning curved texts in the easiest way. When the logo designing is finished, you may want to preview and download it. Also, on the top functional bar, you will have the button for [Preview] and [Download]. [Preview] gives 6 scenarios, including business card header, website, T-shirt, and etc. When downloading the logo design, you will have a free option, a high-res raster image option and a vector & bitmap package option. Choosing Free option, you are entitled to just download it without registering an account, but there is a perk to register one: An account will save 3 logo projects in the cloud for free. Using DesignEvo is time-saving. It takes seconds to minutes to turn an idea into a logo design professionally. It’s the most cost-effective approach to work out a quality logo for most people.